Area:Land 21 km². Freshwater n.a. Exclusive economic zone 320,000 km². Terrain: Sandy beach rises to fertile ring around raised coral reefs with phosphate plateau in centre. Climate: Tropical. Monsoonal rainy season November to February. Geography: Large phosphate rock island. 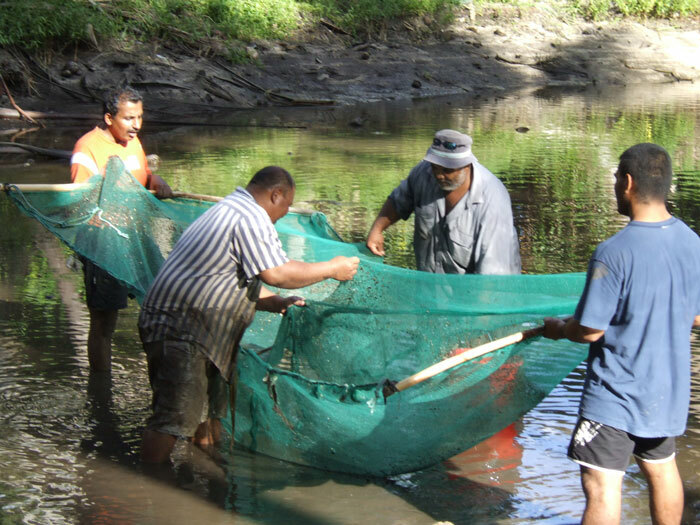 Nauru has a tradition of fish culture. Reef fish were stocked in Buada lagoon which was divided according to ownership, demarcated by coconut fronds and concrete walls. Milkfish (Chanos chanos) was the main species cultured and it was consumed on special occasions and used traditionally for body ornaments. The frys were collected from the beach and stocked into the brackish lagoons around the island, including Bauda lagoon. In 1961 tilapia (Oreochromis mossambicus) was introduced. It was not accepted as a food source. It later infested traditional fish farming ponds and caused many farmers to abandon their traditional practice of raising milkfish. The FAO launched a tilapia eradication program in 1978 at the cost of USD14,132. It was undertaken in Buada lagoon where a portion was divided for the project and it was proved unsuccessful due to the physical characteristics of the lagoon and the area for the project was very limited. Since then there have been various other eradication programs in Buada lagoon and none of which has been successful. In 1992 the FAO South Pacific Aquaculture Development Programme (SPADP) project proved that it is possible to raise milkfish in coexistence with tilapia. However for milkfish to mature into edible sizes, around 20 cm, took 4 months longer than when tilapia were absent. 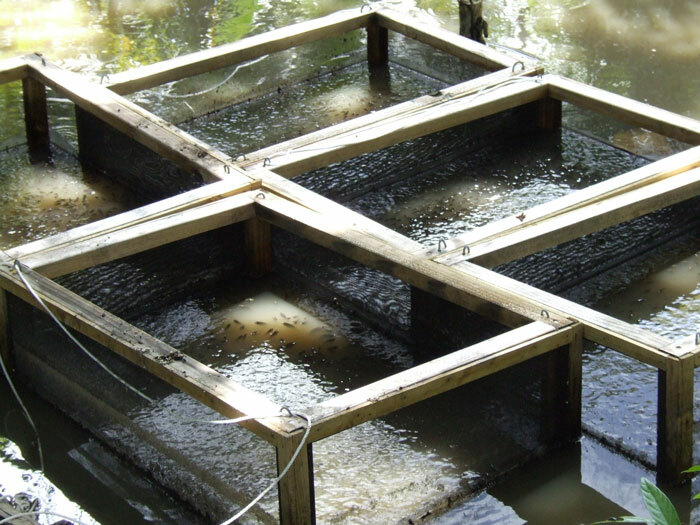 A Taiwanese project around the same time using more intensive methods were able to achieve much faster growth rates, but the capital costs were considered prohibitive for the government and the community to undertake..
Aquaculture was once a important traditional activity in Nauru but has been affected by the introduction of tilapia. Farming of milkfish was quite a significant activity that has almost ceased because of pest tilapia. Presently most milkfish is imported from Taiwan or Kiribati. New methods of fish farming are being investigated to revive traditional interests in aquaculture.